The crimper has been around for a long time. It took me awhile to find mine. I love when products come back again. Here's a quick card using an oval punch and the crimper. 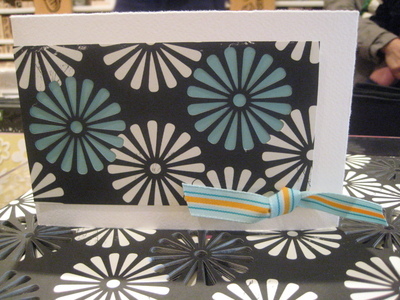 I used our aqua polka dot note cards as the pattern paper. Yes, it's true! 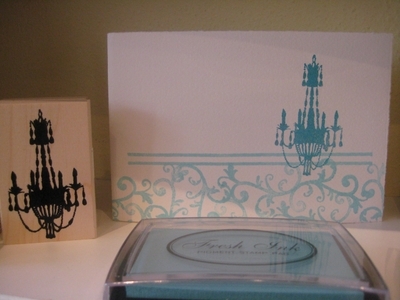 We designed 2 new note cards to go with our spring collection that is coming in April. They are beautiful. Here's a picture that Ann took this afternoon and I had to post it because I love them. We did another version with a distressed background image in a light blue. I'll post some pictures shortly of the cards we did at CHA using the new note cards. Have a great day! This is a great image. 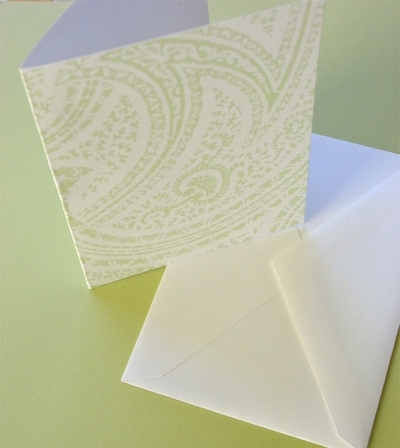 We have used it on several cards but I like this sample using the new Impress flourish on the lower portion of the card. I'm very excited because we just finished the Impress spring line and it is going to be a lot of fun. 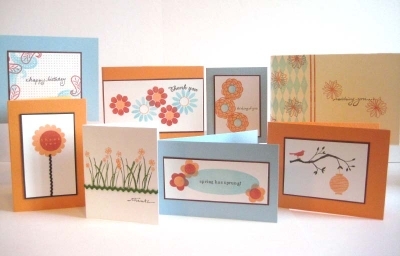 I will add some new samples soon using some of the new designs. I think they will be up on the Impress website in the next couple of days. I'm sure we all love new paper to play with. This paper is by Making Memories and is interesting because some of the flowers on the sheet are cut-out. It's not easy to see with this card but the blue flowers on the card are not on the sheet. The blue color comes from a piece of paper that is mounted under the printed paper, if that makes sense. We are back from Carson. It's always great to see some of our favorite customers. The weather was beautiful but the flight home was long. 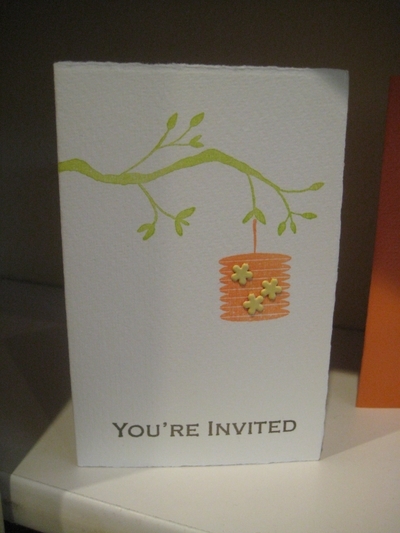 Here's a card that I did using the Impress branch and lantern stamp. The flower brads are from Making Memories. They keep coming out with these seasonal brads that are fun to use. I really like this set for spring. cold days ahead but the warmer weather is nice. Here's a new display board that we did using Impress images. I love the color combination.